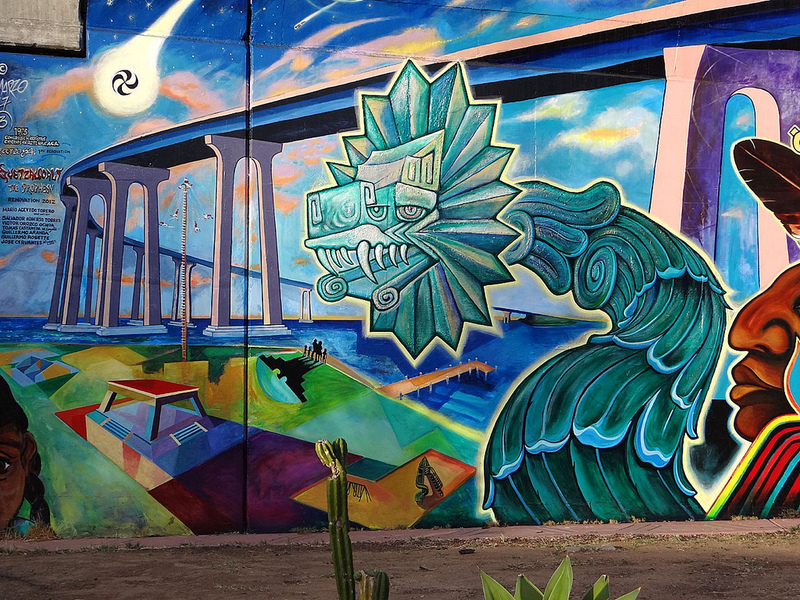 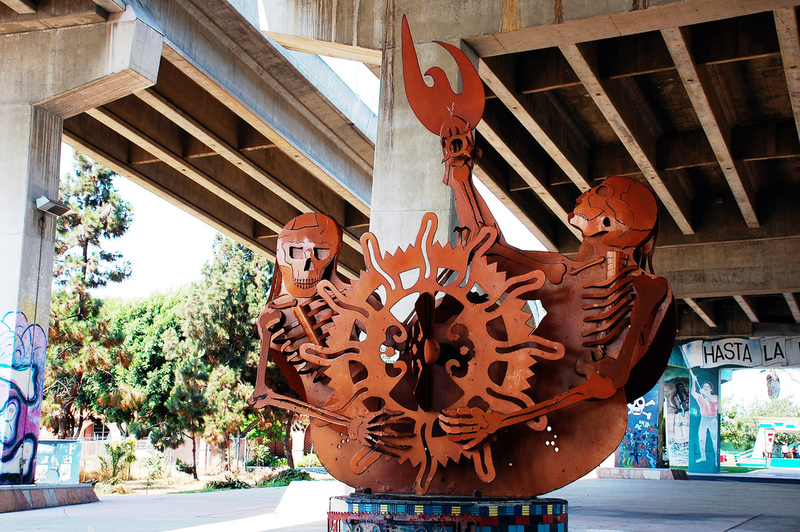 At one point in its history, San Diego’s Barrio Logan contained the “second largest Chicano barrio community” with a population reaching 20,000. 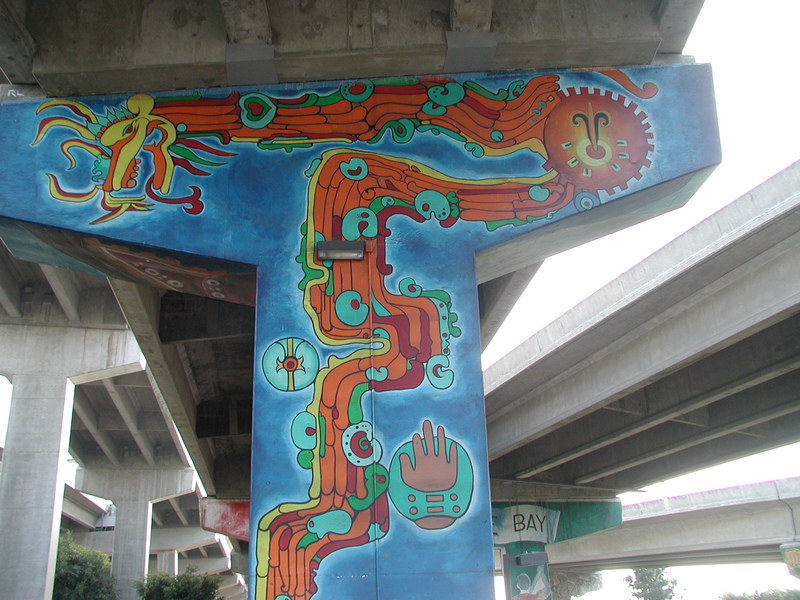 City zoning laws in the 1950s incited changes to the community and Interstate 5 bisected its heart. 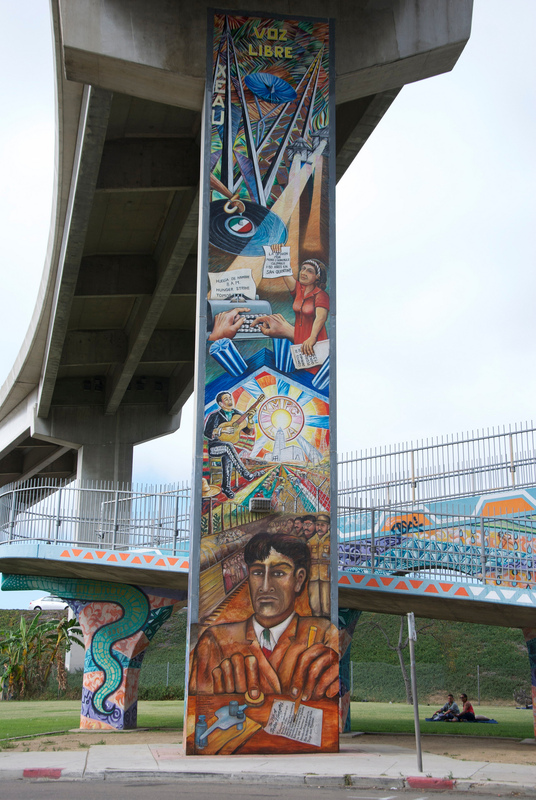 In 1969, the Coronado Bay Bridge added on-ramps and pylons, leading to a population exodus. 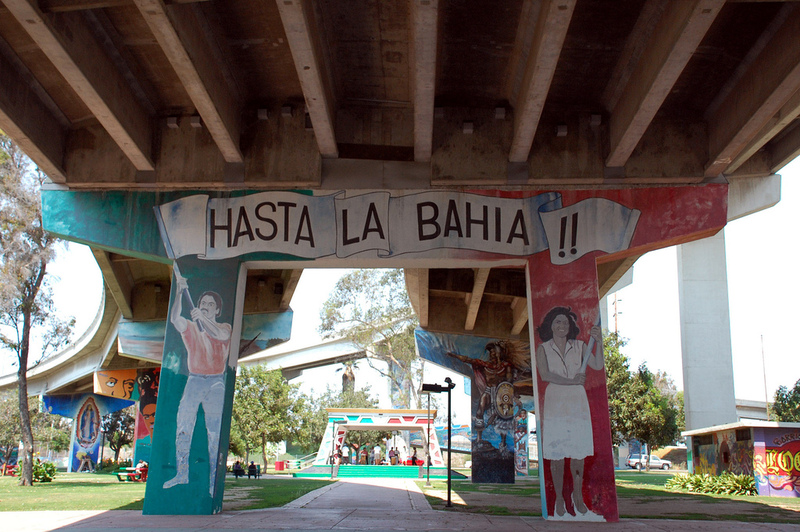 Around the same time, community members began fighting for a community park under the newly built freeway foundations. 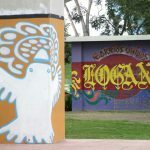 When construction commenced on a highway patrol station at the site, hundreds of community members organized in opposition to the proposed station. 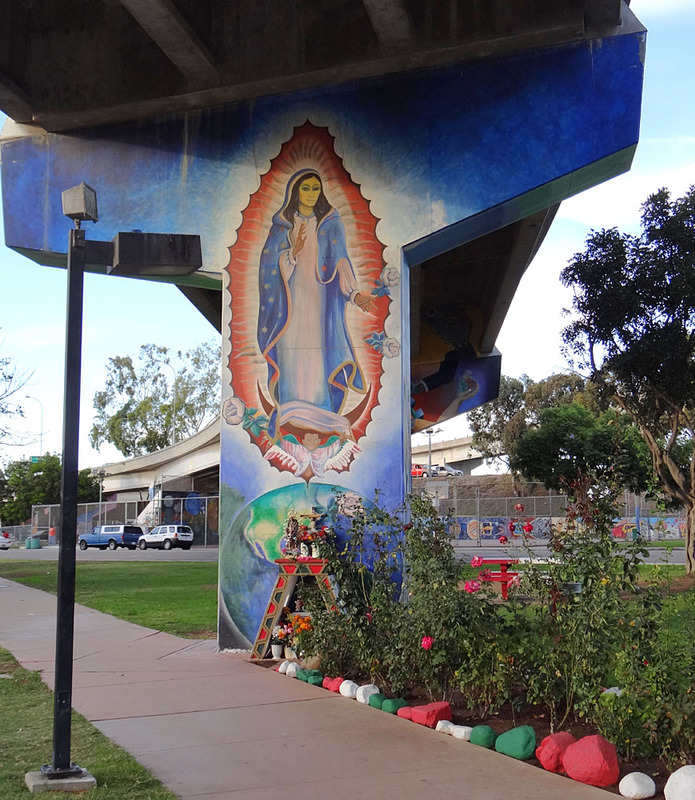 Instead, the community wanted a park on the site; thus the long struggle for Chicano Park began. 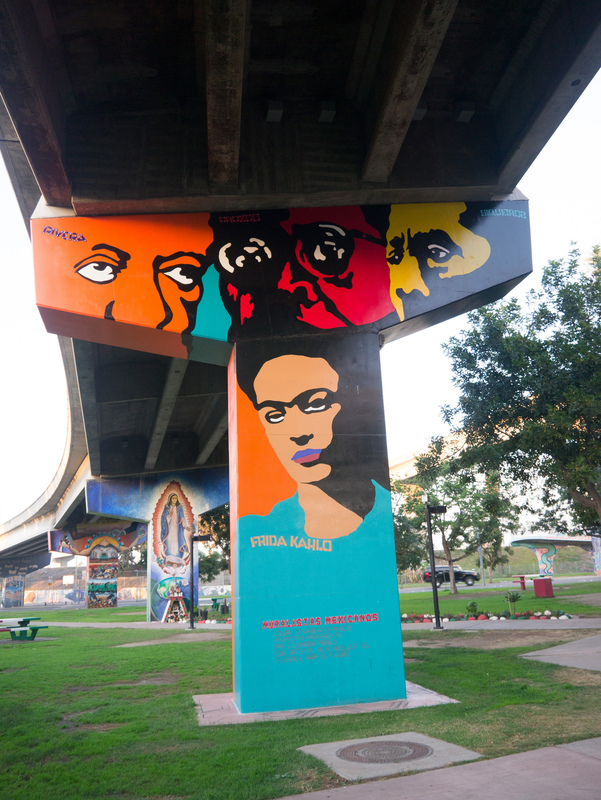 Artist Salvador Torres, a key figure in the murals at Chicano park, was in attendance at an April, 1970 meeting between government officials and residents who opposed construction of the Highway Patrol station on the site of the longed-for park. 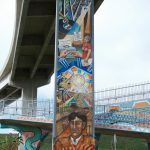 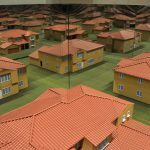 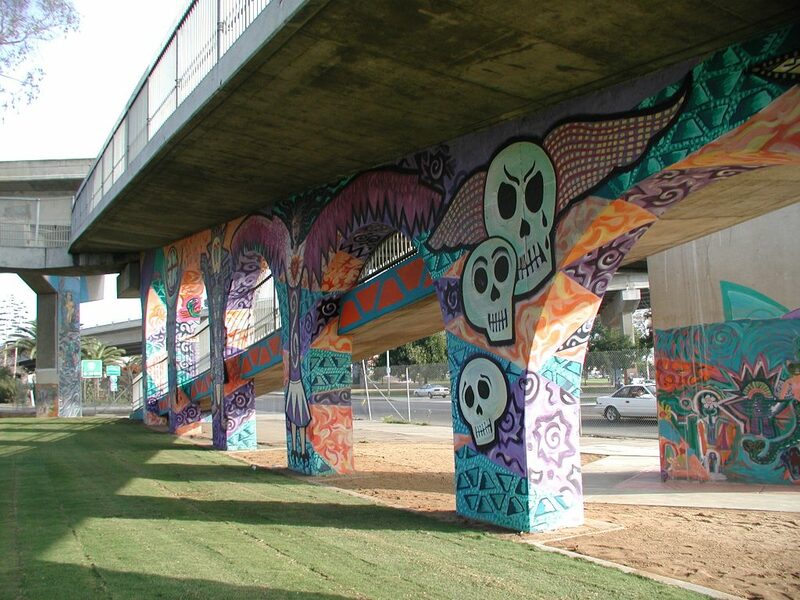 He spoke passionately at the meeting of his vision for the park, hoping that local Chicano artists could turn the concrete pylons and onramps into “things of beauty reflecting Mexican-American culture.” “We are ready to die,” Torres said in his statement. 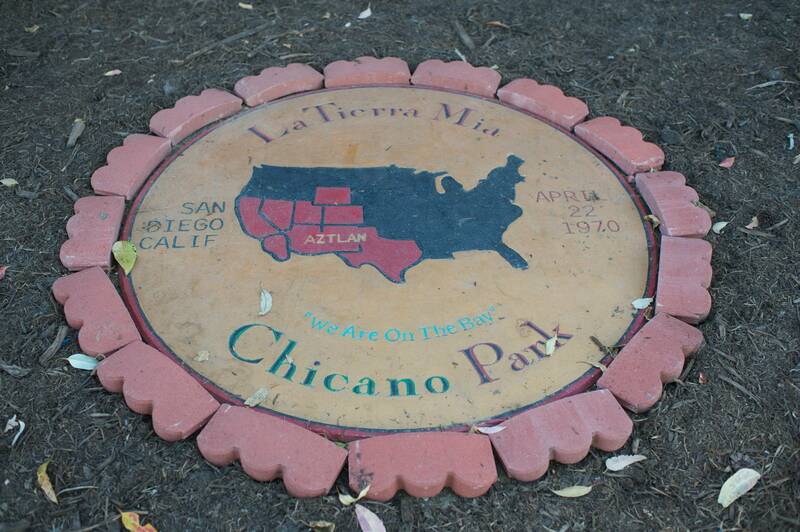 As the park was occupied by the organizers, its three acres were planted with desert plants and grass. 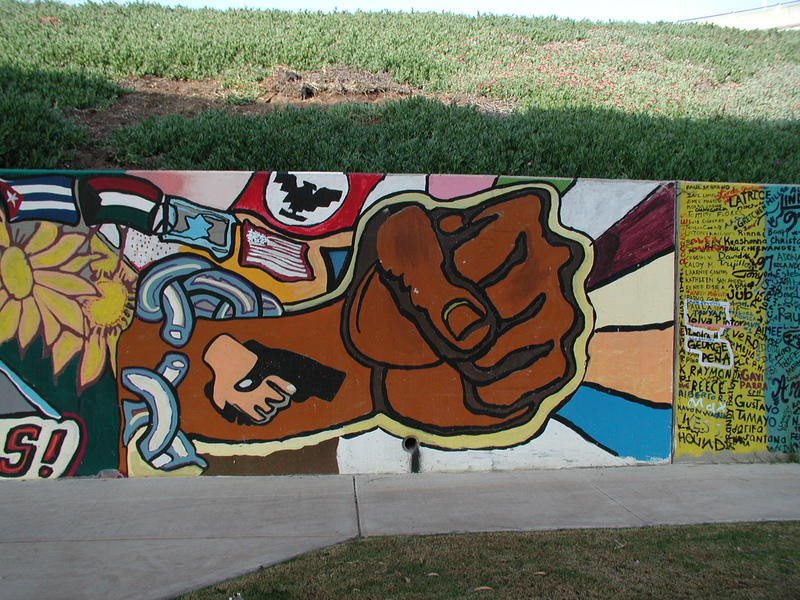 Chicano youth from Santa Barbara, Los Angeles and beyond traveled to the site to offer their support. 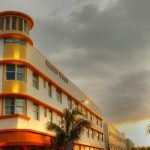 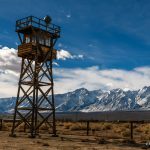 On May 1, 1970, an agreement was reached and a land exchange for the proposed highway patrol station site was set in motion. 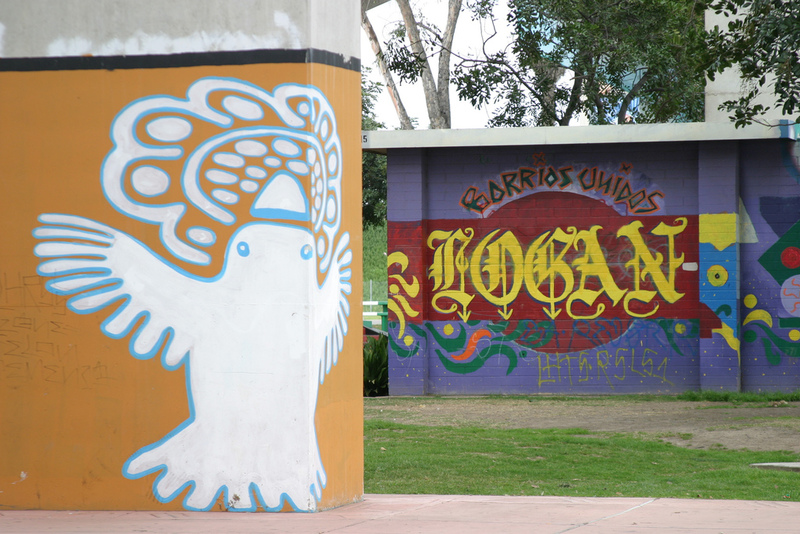 Two months later, the city council authorized a contract to develop a park at the site. 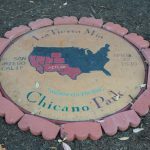 The first annual celebration of Chicano Park Day welcomed one thousand people, and the park has since served as a symbol of one community’s establishment of a place for community events and artistic expression. 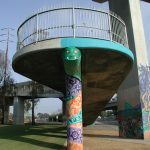 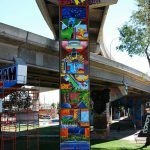 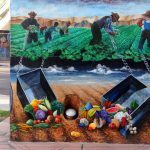 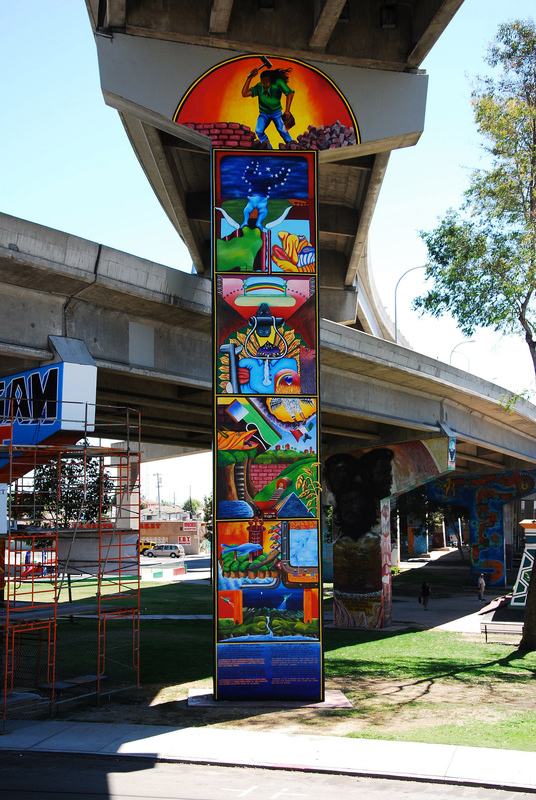 Beginning in 1973, after protracted negotiations with public officials, Torres, along with a coalition of Chicano artists and advocates began using the drab concrete pylons as canvases. 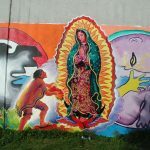 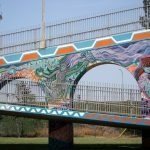 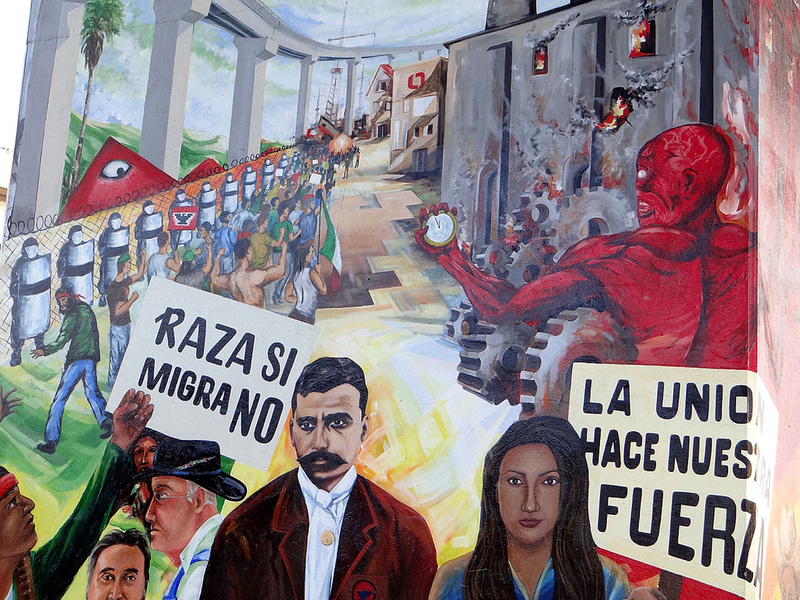 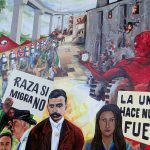 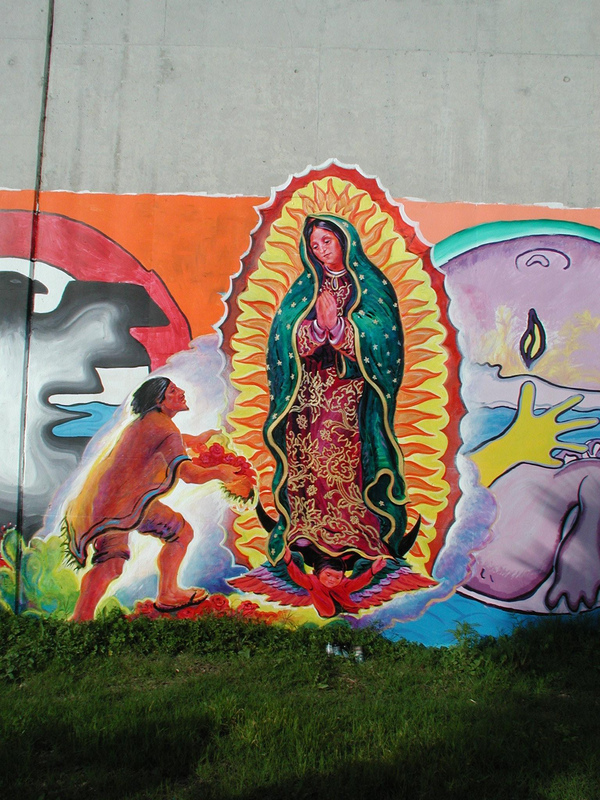 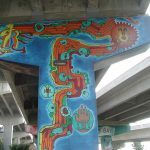 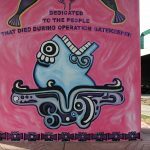 The murals along the abutments on Logan Avenue were completed by Los Toltecas en Aztlan, along with three hundred residents. 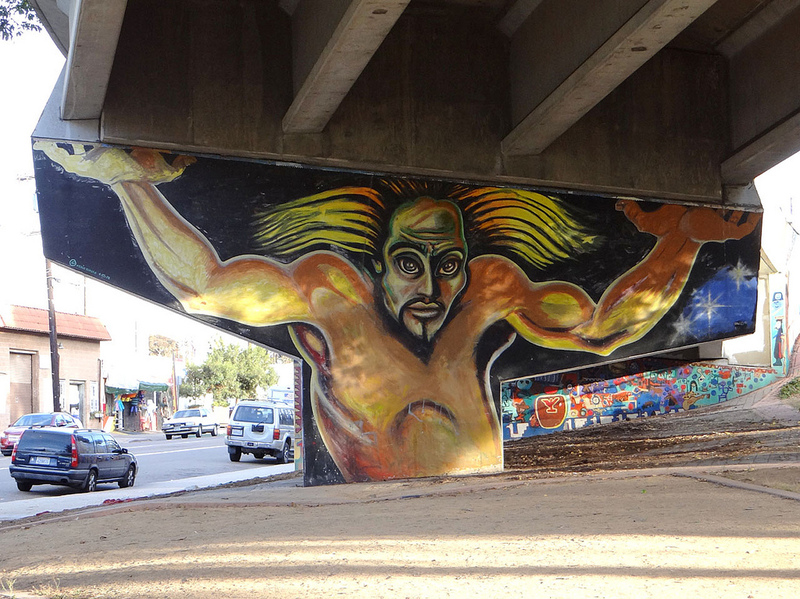 In 1980, Chicano Park was designated San Diego’s Historical Site #143. 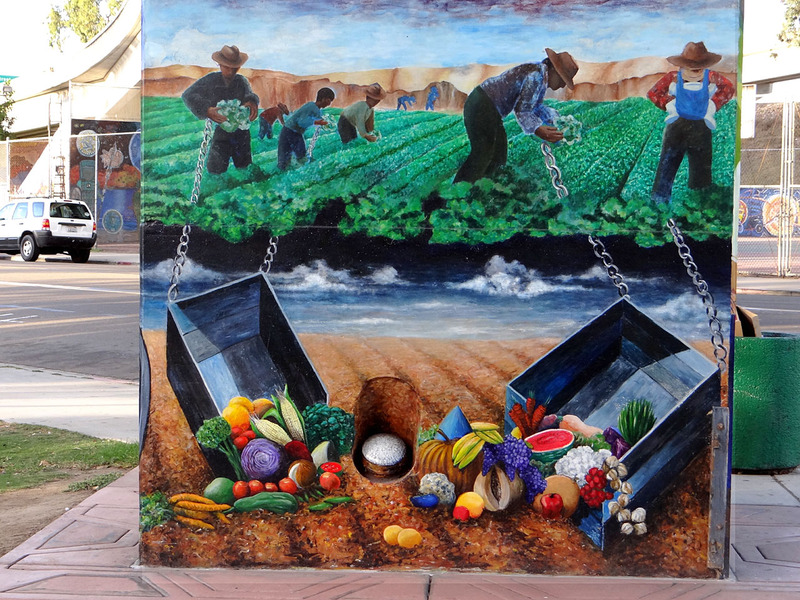 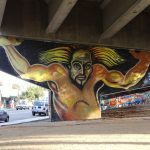 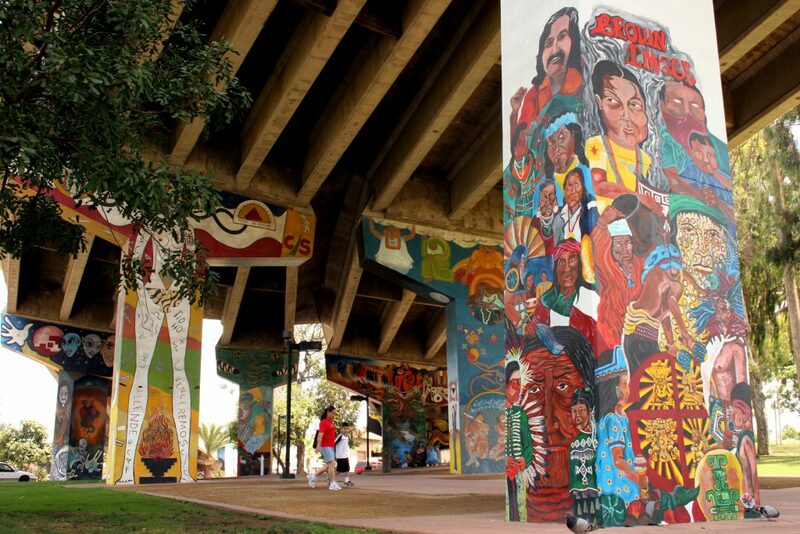 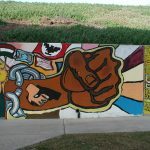 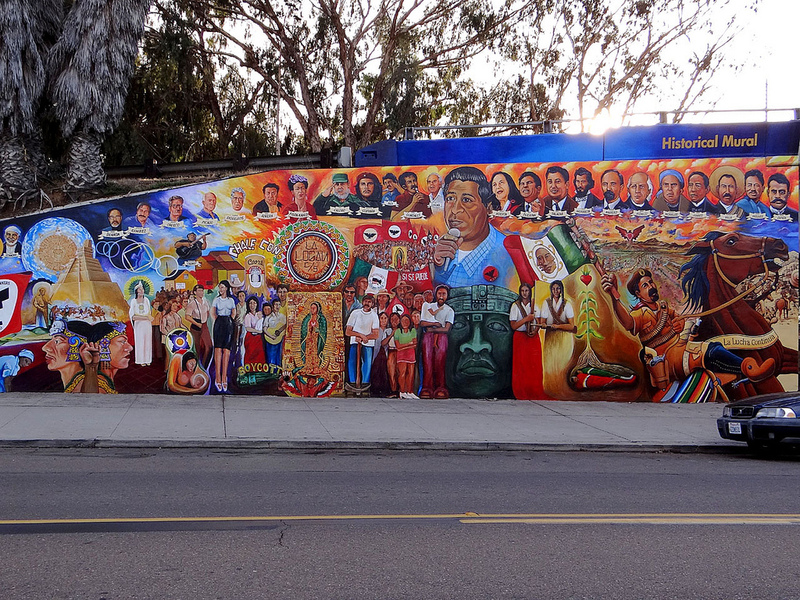 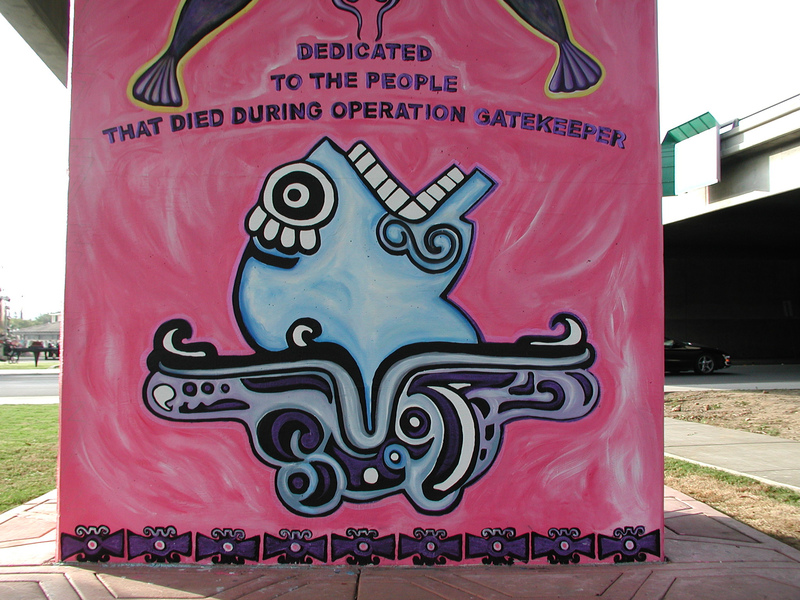 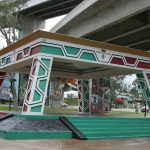 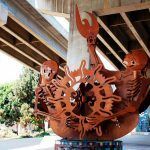 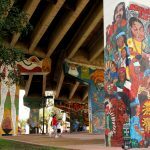 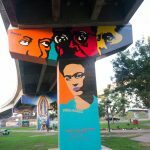 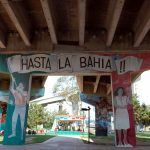 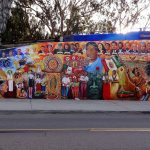 Since then, Chicano Park has been painstakingly maintained by artists and community members under the aegis of the Chicano Park Murals Committee. 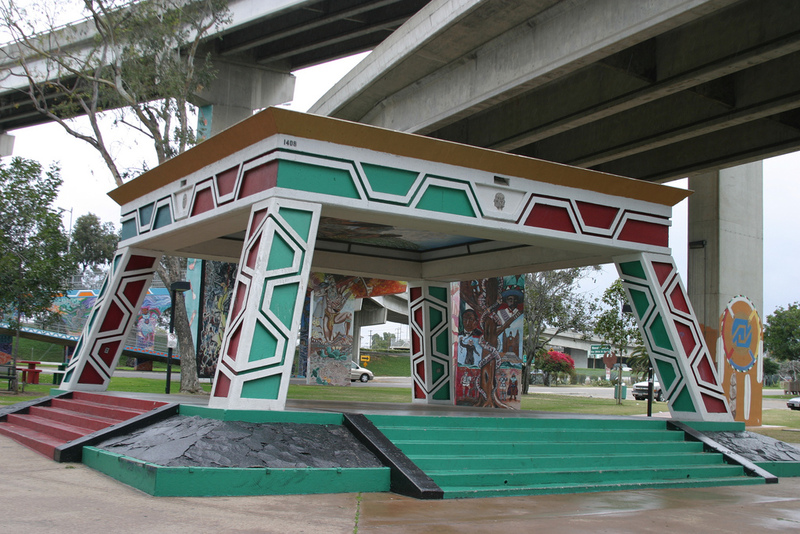 In 2013 the site was designated on the National Register of Historic Places. The California Preservation Foundation, with support from a panel of speakers from the San Francisco Latino Historical Society, Los Angeles Conservancy, Stewards of the Chicano Park, and the California Office of Historic Preservation, will be looking at grassroots advocacy for Latino(a)/Chicano(a) heritage sites during our annual conference in San Diego. 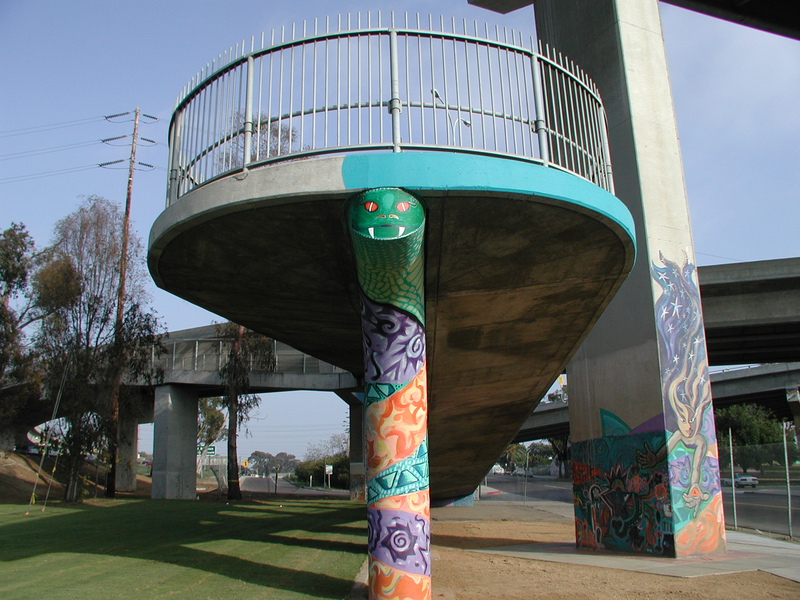 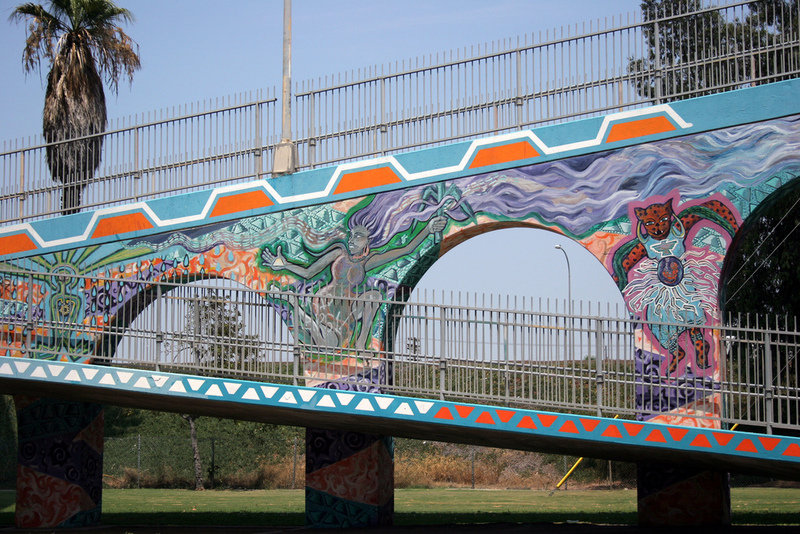 The session will occur Thursday, April 30th, from 2:00 – 5:15 PM and will conclude with a tour of Chicano Park. 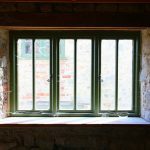 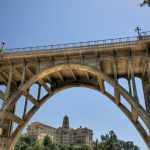 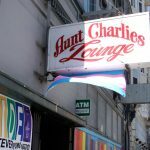 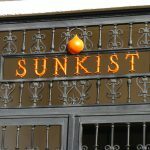 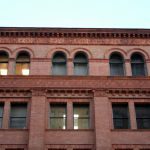 You can register for the tour by visiting https://californiapreservation.org/conference or calling 415-495-0349. 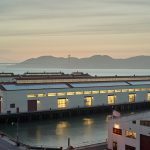 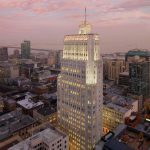 Jonathan Haeber, Field Services Director for the California Preservation Foundation, is a published author and Public Historian. 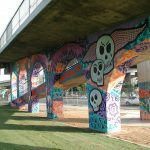 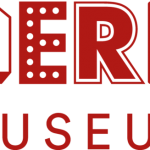 He has consulted on interpretive exhibits for museums and nonprofit organizations in Massachusetts and California, and played a key role in the historic preservation study for a Henry Hobson Richardson rail station in Holyoke, Massachusetts. 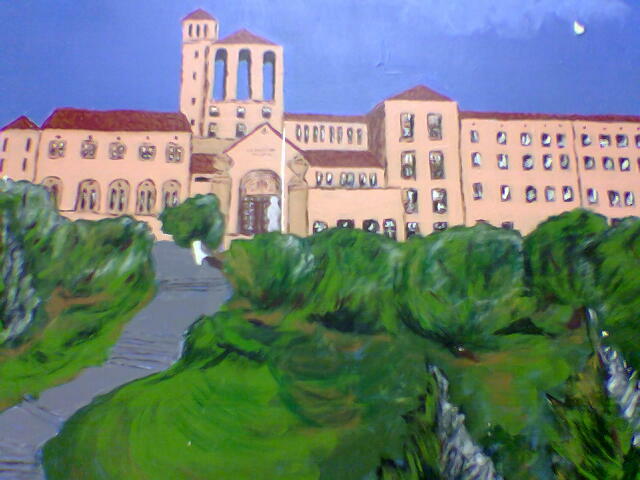 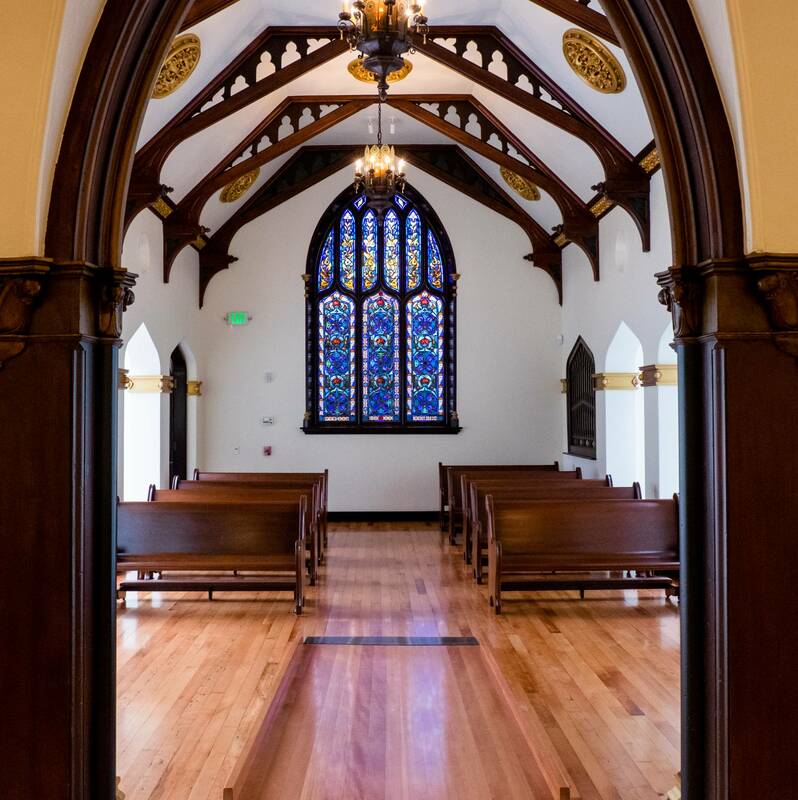 He is the recipient of the 2013 Preservation Award from the Holyoke Historical Commission. 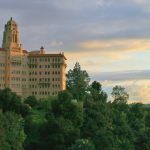 Jonathan’s 2011 book from Furnace Press, Grossinger’s: City of Refuge and Illusion, examined the history of the Catskills’ most legendary resort hotel through large format and digital photographs, interviews, and archival research. 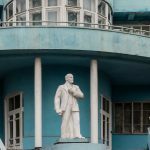 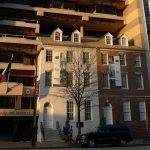 Jonathan has a Master of Arts degree in United States History with a Certificate in Public History from the University of Massachusetts, Amherst. 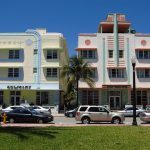 His thesis examined the built environment, social history, and landscape of an industrial, planned city’s Main Street consumer culture in the early 20th century. 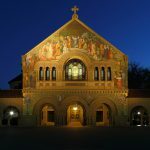 Before returning to school, he worked in the editorial field and grew up in a rural town near Roseburg, Oregon, eventually earning Bachelor of Arts degrees in English and Geography from the University of California, Berkeley. 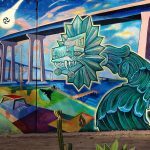 Find Jon on Twitter, LinkedIn, Google Plus, or Facebook. 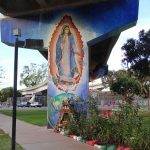 Regarding the last paragraph concerning the panel on April 30th, the ‘Stewards of Chicano Park’ is the Chicano Park Steering Committee (http://www.chicano-park.com/) and on Facebook at https://www.facebook.com/pages/Chicano-Park-Steering-Committee/298152410237632.